Its been just few months that I have started eAskme.com. On eAskme we are not only working on good SEO but also working on new projects. eAskme.com is one of our main site. Our Goal on this site to target worldwide traffic and to make eAskme the biggest information box online on Internet. Lets see How to get ten thousand traffic in one day. We started eAskme on Blogger Platform. We customized its template. It is a multi author blog and many authors from around the world write and send to us. So we give this opportunity to all who want to write god quality article and submit on our site. eAskme started growing since the very first day of its birth. We created fan base on Facebook, Google+, twitter and also engage our followers and readers with our content. Our Social sharing gone wild with social sharing buttons and we started getting queries and question from around the world. So its the time our rank start going good and also traffic start increasing day by day. 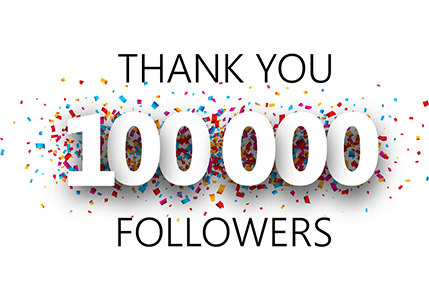 So we planned to Get one thousand traffic in a day and with our efforts we easily achieved one thousand pageviews on blog today and it is increasing. How to Get 10,000 Pageviews in one day ? 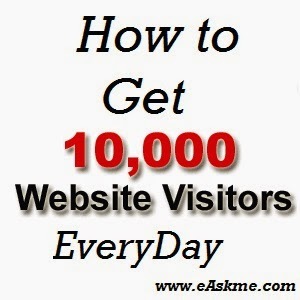 We discovered that it is very easy to get 10,000 traffic everyday on blog or website. We just need to be consistent. On page Optimization and off page optimization, our followers, link building , quality content and trendy topics these all make us get one million page-views everyday. So now we discuss how to get ten thousand page views on blog everyday. Consistency is most important factor to improve your blog traffic and Alexa ranking. We keep posting articles everyday and also keep sharing it on our pages and social networks. I know you may be heard about it already too much. But believe me without quality content you can`t make your visitors stay and engage with your site for long. Quality content also give you good search engine ranking. Selection of proper keywords is also very important. We focus on keywords before writing any post, search their popularity and their reach to the visitors. Link Building is very important to engage your visitors with your content and also to decrease bounce rate of your website. You should build links effectively and link old posts with new posts. This will make your old posts also worthy to get traffic. Always be helpful to your readers and followers this will help to build trust. Reply to all comments as soon as possible. try to solve their queries. Give them new and exciting posts to read. Give them sharing buttons to share your articles on social media or bookmark. "Thanks to all readers of eAskme"
Do share your views about eAskme and let us know how we can improve it more.